OnCrawl has developed a partnership with the AT Internet solution to combine their analytics data with our crawl data. Learn more about how to activate and setup this feature. You need to have the Page URL dimension enabled on your website. By default, this dimension is not activated on AT Internet's accounts. Contact your AT Internet Account Manager if one of these requirements is not satisfied. Please note that the activation of the Page URL dimension on your website is not retroactive. Furthermore, you will need to wait 46 days before launching a crawl on OnCrawl to have a complete traffic crossed analysis: it corresponds to the period for which we retrieve data to generate the combined analysis. 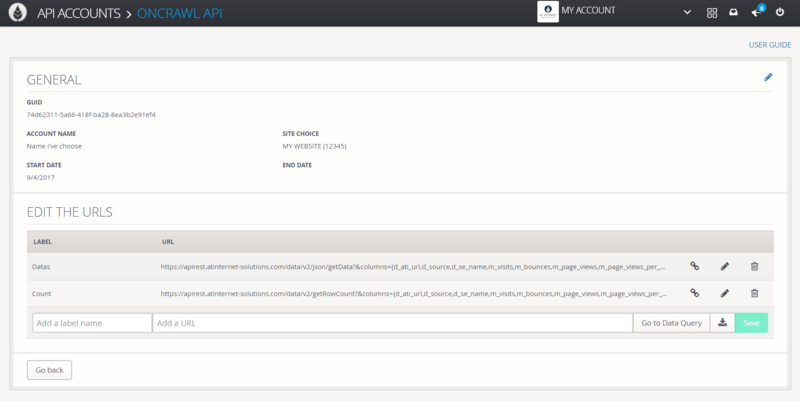 From the "API Accounts" section: select "New" to create an API KEY. OnCrawl needs this key to gather data. 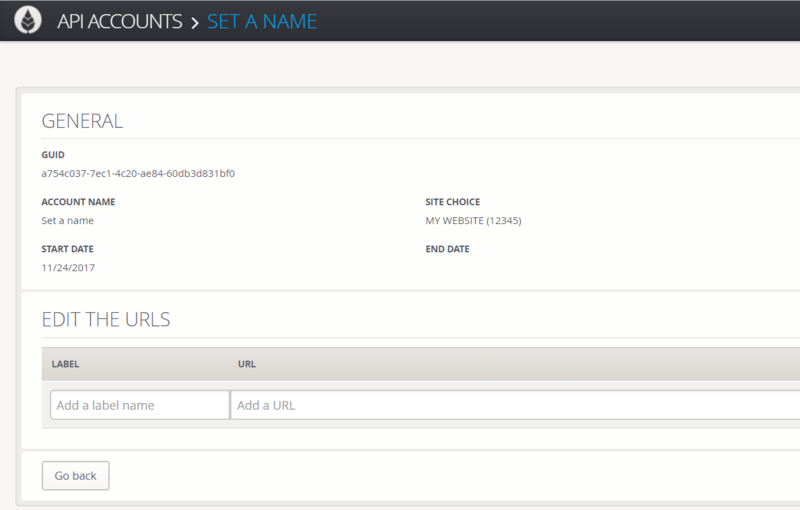 You can see two numbers: ID Site and GUID, we will ask you to copy them in the OnCrawl interface. Copy the two URLs you see below in your AT Internet account and validate. Well done, you are ready to launch your crawl !